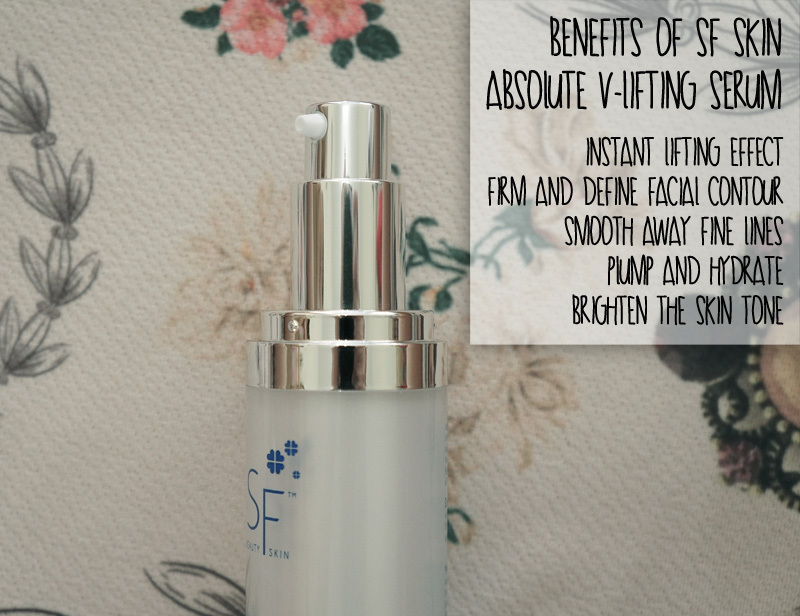 Two years ago, I came across with SF Beauty Skin and did a brief review on it. It is not a new brand to me and to be honest, I am still loving their Perfect Glow Sunscreen. Unlike any other skin care brand out there, SF Beauty Skin provides unique services on "Try It Before Purchase, Free Sample Set Deliver to Home" and online personal beauty consultants. SF Beauty Skin believes such services not only guarantee one's satisfaction without wasting money, but it will also pampers her with in-home skin care service. What do I meant by online personal beauty consultant? SF Beauty Skin believes you can seek for professional beauty services at home through phone or email during working hours. There will be beauty consultants attend to your questions through online customer support and they are equipped with professional beauty salon training programs. It was a pleasant experience talking to the beauty consultants because they are friendly and willing to give a lot of tips to take care of the face. 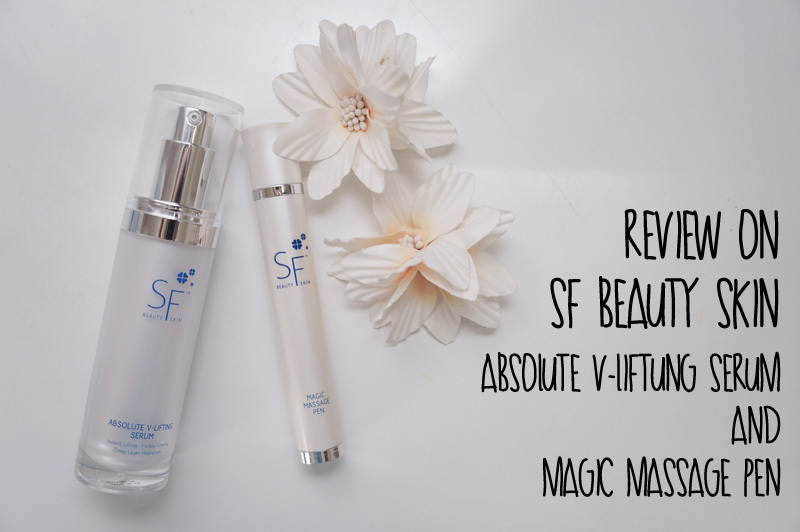 It is my pleasure today to work with them on sharing my experience on using the SF Beauty Skin Absolute V-Lifting Serum with Magic Massage Pen. I like the fact that the serum is in a pump design rather than a dropper design. It is more hygienic though I can hardly control the amount of serum comes out from the pump. The serum is in crystal clear and water texture. Usually, two pumps are sufficient enough for the whole face and the neck area. Warm the serum on you palm and apply it to the face. For a better lifting effect, use the Magic Massage Pen and massage from chin line upwards to ear and foreheads until your skin absorbs the serum. 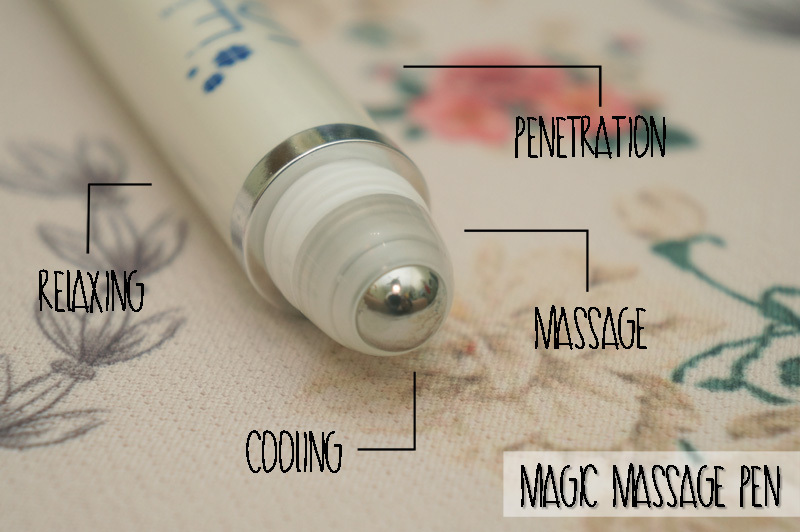 Here's a closer look on the Magic Massage Pen. Take off the top cover will show a roll-on tip, which allow it to glide better on your skin. Uncover the bottom cover will show the battery holder, where you need to put in two single-cell round batteries in order for the vibration to work. There is also a push-on button that allows you to turn on the vibration feature. Push the button once again to switch the vibration off. 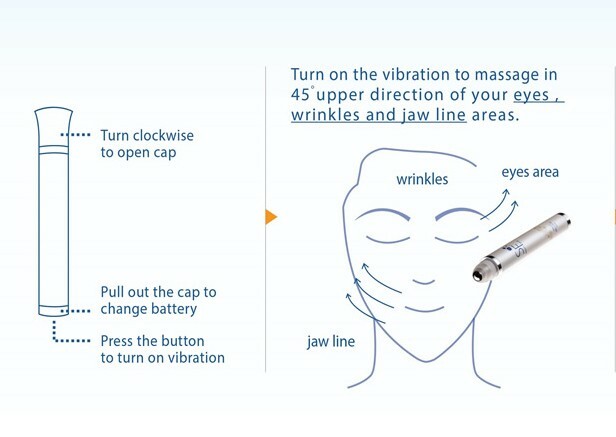 It is advisable to put on serum and using the massage pen for better lifting effect. How to use Magic Massage Pen? Visit www.sfbeautyskin.com or call toll free number 1800 - 88 - 6919 for FREE sample set ASAP. 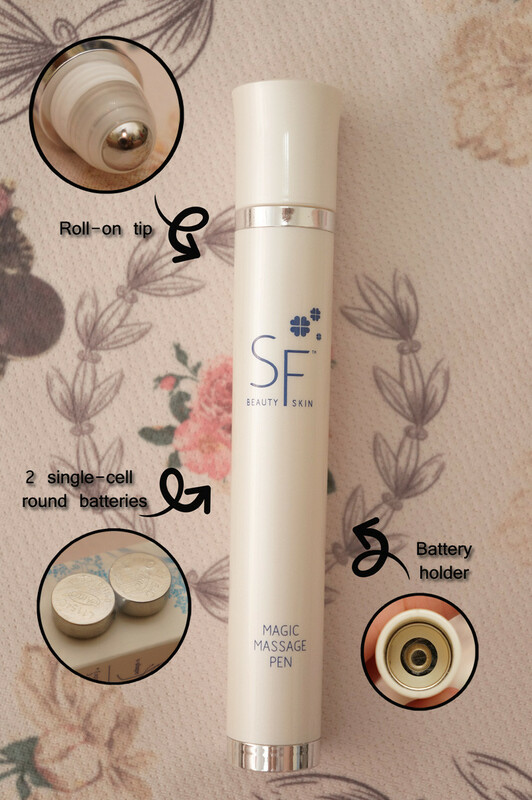 Like SF Skin Beauty Fan Page! Along with "Absolute V Like & Share Event", click on the like button and share out the news for a FREE mask! 40% off for Absolute V-Lifting Serum and Magic Massage Pen! It is now RM300 RM180! Wonder how the online beauty consultants can help you? Ring them up or online chat with them to experience a brand new experience of skin care regime.